Enter your postcode to find a fitter and choose your preferred date. We will try to accomodate the chosen date as best as we can. Our mover can fit twin and single axle caravans and comes with 2 motors which can safely move a caravan up to 2250kg. If your caravan is more than 2250kg we recommend to have 4 motors fitted as this will provide additional power to move the caravan quickly and safely. This can be upgraded at a later date and is the only mover on the market that can be added to later. Our caravan movers are also recommended by The Caravan Club. Do you have a caravan mover you would like to replace? We can offer a removal service as part of the fitting for an additional fee. Please find details below. Please note these movers do not fit the Penine folding campers. When facing a tricky pitch, a motor mover can save you time, hassle, embarrassment and car clutch wear. 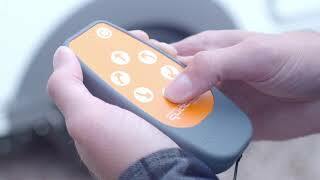 Simply unhook the caravan and move it solo onto the tight spot with the remote-control handset. so that a thief can’t access it. The majority of steep driveways also pose no challenge to a quality mover. A motor mover can also extend your caravan lifestyle, taking the elbow grease and backache out of caravan manoeuvring, our oldest client is 96 years old! Our movers are also sensitive enough to position the caravan hitch over your towbar for hitching, without risking any damage to your car’s bumper. Simple to use remote control, directs the caravan into any position required. Rotate the caravan through 360° degrees. Works on most surfaces in most conditions. Control when going up or downhill, control when hitching, control when unhitching. The e-go Enduro 2 uses Quattro® technology. This intelligent modular system, featuring soft-start, allows any model in the e-go range to be used on single, twin and AWD installations. The system even allows retro-fit upgrades meaning that a twin system can be upgraded to All Wheel Drive at any time. This clever technology gives you ultimate flexibility, future proofing your purchase. We can install the Enduro 2 at the caravan location we have a team of experienced motor mover installers situated across the UK so we can come to you. The Enduro 2 Comes with a full 5 Year Manufactures Parts and Labor Warranty. You must select a removal option before proceeding. Do you have a caravan mover you would like to replace? We can offer this removal service as part of the fitting for an additional fee of £72. You must select a fitting option before proceeding. You cannot use your own fitter if you'd like us to remove your current caravan mover. This product is fitted only, you can only select workshop fitting. When you choose to get your caravan mover fitted at one of our approved fitting centres or with one of our mobile fitters, your caravan mover will be delivered to your fitter ready for installation. However, if you want to choose your own fitter, your caravan mover will be delivered to your chosen address on the next working day you place your order before 2:30pm. It is essential that you should get your caravan mover fitted by a professional fitter to protect your vehicle from unnecessary damage and to protect your guarantee. We have saved you the trouble of finding a fitter, so all you need to do is enter your postcode and we will find your nearest fitting centre or mobile fitter.